Most likely the most important reason for having a Phoenix bathroom remodel done is because you want it to suit the needs and wants of you and your family. Perhaps your family has grown and the bathroom that once worked well is not just providing all the conveniences that is needed. 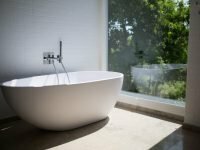 While you are in the planning stages of your bathroom upgrade also consider the future and whether there may come a time that you will want to sell your home. 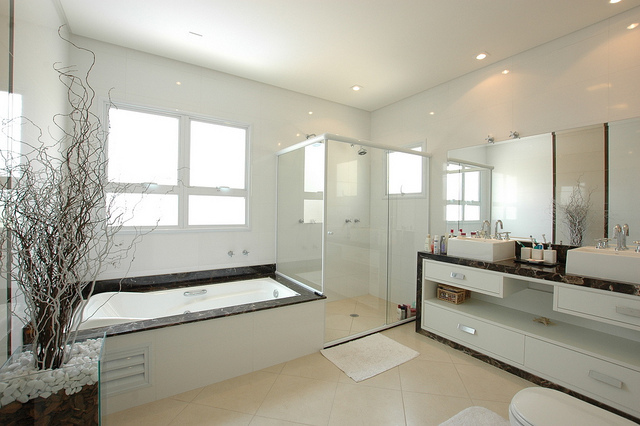 The bathroom is one of those rooms in the house that potential buyers pay a lot of attention to. What are your Phoenix Bathroom remodel needs and wants? Whenever you are doing an upgrade to your home it is easy to get caught up in the excitement of the moment and focus more on the décor than the actual necessities. This can lead to disappointment when the project is finished. First you need to list the needs that this room has to meet. How many people does it have to accommodate? Is there another bathroom in the house that will accommodate others? Do you need a bathtub and a shower? Do you need double sinks? How much space does the bathroom require? What type of lighting is a necessity? Then once you have identified the needs, you can shift your focus to the wants. Then it will come down to the final touches such as color and décor for your Phoenix bathroom remodel. You will have to keep this in the back of your mind when focusing on your wants. As mentioned even though you may not have any intentions to sell your home, you never know what the future hold. Most buyers don’t want to do a lot of upgrades to a home they are buying, especially when it comes to the bathrooms. Like any room in the house there will always be trends, and these constantly change. If you are focusing on a trend which is natural if you want your beautiful new Phoenix to be modern, make sure it concerns those areas that can be changed relatively easy. Trying to determine what a potential buyer would be impressed with when it comes to your bathroom can be a little daunting, as the wants and needs are different. You do have a good idea according to the size of your home as to what type of buyer would be interested in it. For example, if you have a four bedroom home then it will accommodate a fairly large family. Your focus on the bathroom will want to ensure that it will meet the needs of this size of family. You have the option here of deciding whether you want to have both a shower and a tub. 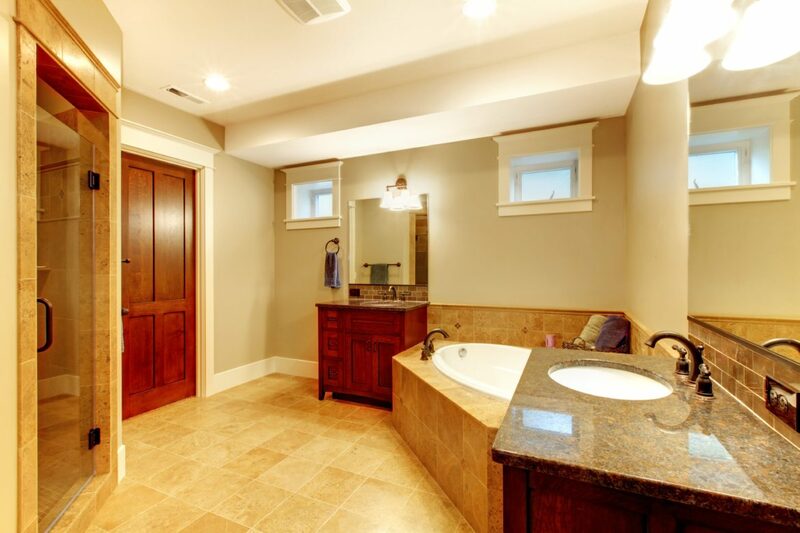 Historically it has been shown that bathrooms that also have a bathtub do sell better. This now means you will have to make the decision as to whether you want a built in or free style, and most likely this is where you are going to get caught up in as to what is trending. However, if you have a small home then it may be ideal for the older couple who is downgrading in their home size. They are probably focusing on their needs for when they become seniors. In this case they may not want a tub and would prefer a walk in shower. For the showers you are going to be taking a look at the extra perks that come with this. The younger generation love the rain forest shower heads. Whereas the older people prefer the single shower heads and slide bars. For the choice of the toilet it seems that half of the people prefer to have this bathroom item hidden, while the other half don’t really care. Then there will be the option of choosing the traditional styles compared to the newer versions of those that are tankless. Homeowners in Phoenix really do get to enjoy a lot of sunlight. You want to capitalize on this if possible when designing your Phoenix bathroom renovation. In most cases you can never go wrong by adding a window to your bathroom, but choose its location carefully. Another viable option is to go with skylights. In addition to this you still need to choose good artificial lighting to accommodate the evening hours or if you don’t have the option for natural lighting. LED lighting is the most favorable and most economic. This where you can really focus on your wants but use some caution here. When it comes to the walls you can be as daring as you like. However, keep the cabinets and tiles and flooring neutral. This allows for an easy change of the wall colors in the future. By giving extra thought to all of these areas of your Phoenix bathroom remodeling project you will be ensuring that you are going to get everything you want and need for the here and now. However, you also get a return on your investment should you decide to sell your home. Be sure to ask us for our free and no obligation quote for your Phoenix bathroom renovation, and check out our great financing options.